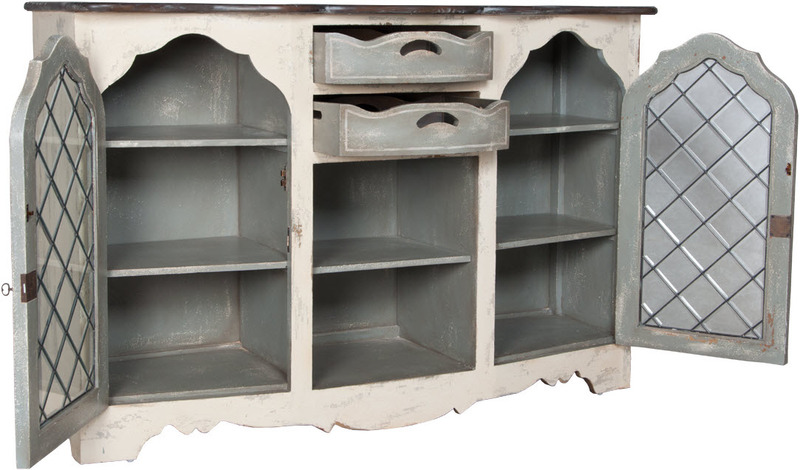 VAUCELLES CREDENZA - Crossroads Rosa finish on hand carved mahogany credenza. Heritage Grey Stain on credenza top. 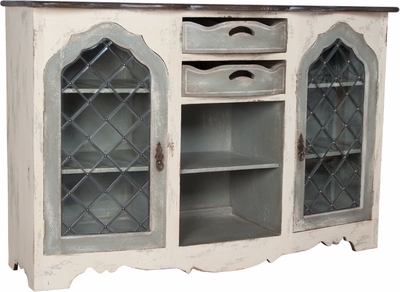 Distressed Loft Grey finish Accents. Antiqued hardware. H 46" x W 70" x Depth 22"